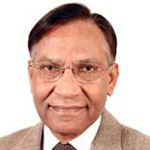 Narendra Singh Sisodia (70), DIN: 06363951, was appointed as an Independent Director of the Company on 31st October, 2012. He holds an Honours degree from St. Stephen’s College Delhi and a Master’s degree from Harvard University, USA. Subsequently, he was also awarded an M.Phil degree on his work relating to Industrial Development. During his 37 years as a civil servant, he served on a number of key positions in the state of Rajasthan and Government of India. He was Collector and District Magistrate in four districts and spent nearly a decade working on various assignments in the field of Industries and Commerce. He was Secretary, Department of Industries and Commerce for 7 years. He also served as Chairman, State Industrial and Infrastructure Development Corporation and the State Electricity Board. In Government of india, he, inter-alia worked as Special Secretary, Ministry of Power, Secretary, Defence Production and Secretary, (Financial Sector),Ministry Of Finance. Earlier, he was Additional Secretary in the Cabinet Secretariat.